Material : Made From Full-grain Leather. No PU / Vegan Leather included. It's real leather, NOT leatherette. Retail Packaging : Come with a high quality nice packaging box.
. It is highly durable and will become more beautiful with age.
. Any scratches by nail can be wipe off by your finger. Sebum will help to reduce the scratches.
. The surface of the leather shows clear texture,strong dimensional and smooth feelings.
. Unlike other types of leather, full-grain leather is considered among the best quality leather available. It can be made from a variety of different animal hides and will acquire a beautiful patina over time. .NO Bulky: Slim profile, easy to grip. Fits like Golves, add no bulk to your phone . Screen Protection: Edges rise 1mm above the screen and the camera lens for scratch-resistant protection. Each piece of leather is individually crafted, the color may vary slightly. And the color of the actual item may be slightly different from the photos due to lighting and other factors. Check the size: Only Fit Apple iPhone 6s and iPhone 6 (4.7" screen), not compatible with iPhone 6s PLUS or 6 Plus (5.5" screen). Material: Made of premium genuine leather without any stitching, and you can see the natural variations in the hide. Natural leather smell, top notch quality. Dimension: 5.5 x 2.8 x 0.31 (L*W*H), weight: 0.03 lb, slim fit, not bulky. Easy access to all ports, buttons, camera and microphone. **IMPORTANCE**: TheCase Store is the only official and authorized store to sell this product. Please do not buy from any new sellers who are selling inauthentic cases. 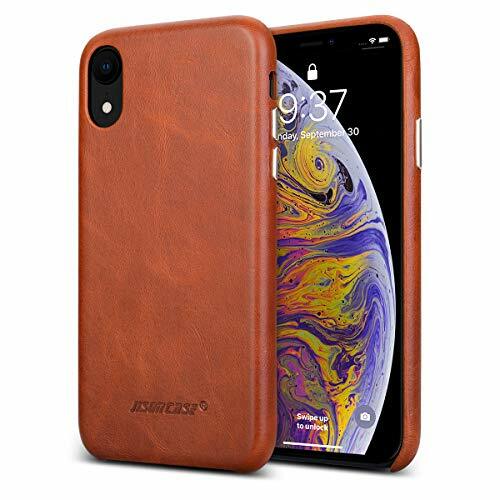 More Leather Case: If you are also looking for Jisoncase iPhone XR Case, please Search B07K1BK28Q on Amazon. Driven by a passion for design and high quality craftsmanship and inspiration, JISONCASE, founded in 2001, creates products to meet the needs of individuals across all interests, professions and passions. JISONCASE constantly promote design simplicity while offering intuitive functionality and increase mobility for an enhanced user experience. 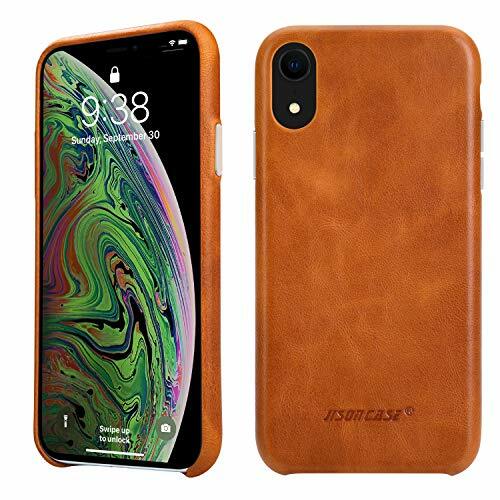 Using genuine leather materials and superb stitching skill, JISONCASE iPhone xr leather case displays in classic and luxury look, offering advanced using experience which is totally deference from vegan leather or synthetic leather. Cushioned shockproof edge offer perfect protection to your iPhone xr. Wireless charging support bring more convenience. 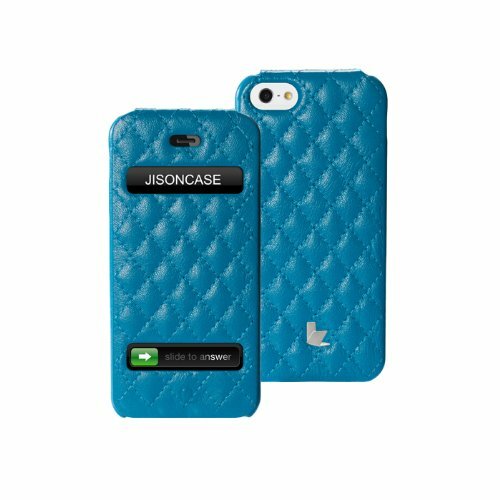 Jisoncase guarantees for every phone case we sold. We provide free replacement or full refund for defective orders. 24/7 Customer support, 30 Day money back. Display resolution, light intensity and different batch of leather will cause color deviation. 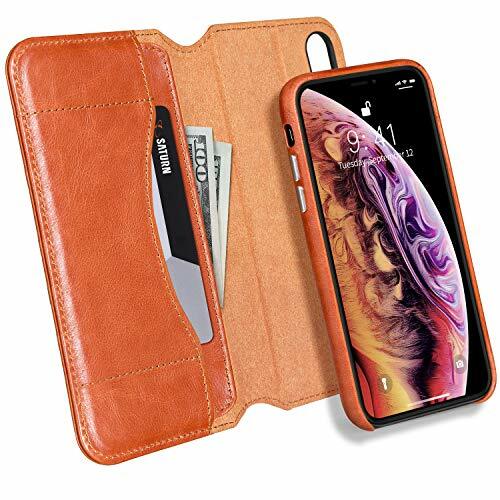 DESIGNED FOR APPLE iPhone XR (2018) - The leather iPhone xr case is designed for iphone 10 xr case. Please kindly confirm your phone model before ordering. GENUINE XR LEATHER CASE - iPhone XR case leather is made with 100% genuine premium leather with good heat dissipation. The genuine leather will develop into a natural tones over time giving the case a beautiful unique patina finish. 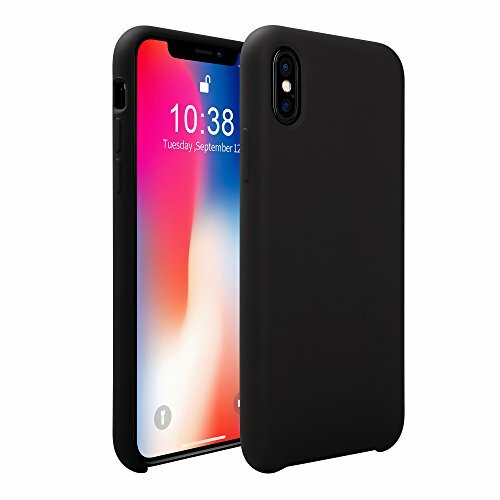 ULTRA HARD BACK COVER FOR IPHONE XR - The leather xr case is ultra thin without being any bulky, but offers a great protection to the iphone xr. Meantime, iPhone xr leather slim case offers good grip and comfort. Slides into a front shirt pocket or pants pocket easily. IPHONE XR CASE LEATHER WITH SOFT INTERIOR - With good flexibility and air permeability, leather xr case is soft and can easy to install and remove, without damaging or scratching the phone body. Easy to press to all buttons with responsive button cover. QUALITY AFTER-SELL SERVICES: We provide free replacement / full refund for any defective orders whenever it was placed, so please feel free to contact us if you have any issue with our products. Founded in 2001, JISONCASE creates products to protect the technology that is essential to our lives. Designed to meet the needs of individuals across all interests, professions and passions. For the same iPhone XR Leather Case, please search product ID JS-IXR-01A20. Made of premium genuine leather without stitching, and you can see the natural variations in the hide, top notch quality. Covered power and volume buttons ensure safety and dust proof, just press on them. Specially designed for 2018 Apple iPhone XR , the one with single camera . DO NOT FIT iPhone X/iPhone XS, iPhone XS Max or any other phone. Please kindly check your phone model before ordering. iPhone Leather Case XR : Crafted with premium top-grain leather, our materiel is 100% real leather, not PU leather or synthetic leather. The surface of the leather shows strong dimensional and it is soft touch.Each piece has its own texture and will gradually develop into a darker tone acquiring beautiful patina over time. Silver Metal Responsive Button : The metal side buttons are specially optimized for responsiveness. Please push them OUTWARD before using this case so that your phone will fit properly in the case. These metal buttons not only make iPhone XR look sophisticated, but also protect the volume and switch button against scratches/ dropping. Not Bulky : Form-fitting design maintain your iPhone's slim profile, supple and feel great in hands. Personalize your iPhone XR with this refined case compared to Apple ones, but at much less price. 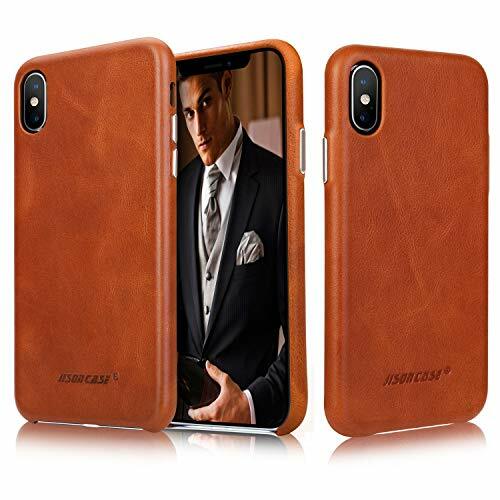 Gift Choice: This case comes with a nice packing box, so if you are looking for a slim, beautiful and 100% real leather case for iPhone XR for your parents/wife/husband/friends, this may be a great choice of gift to them. We provide full refund for all defective orders, so please feel free to contact us if you have any issue with our products. Compatible Version for iPhone 7 and the New Released iPhone 8 (4.7" Screen). NOT compatible with iPhone 7 Plus / 8 Plus (5.5" screen). Crafted from Full-Grain Leather, not the split cowhide leather at a lower cost. Full- grain leather is the best quality of leather with natural texture and smell. Feel premium in your hands. Slim and light weight, easy to grip, fits like gloves. Size: 5.5 x 2.8 x 0.31 (L*W*H). Weight: 0.05 lb. 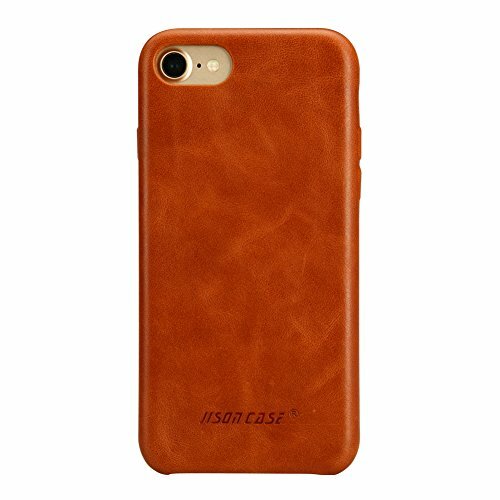 .For Jisoncase iPhone 6s Leather Case, Please search B01GDM555S. Please notice: DO NOT FIT iPhone 6 !!! This case fit iPhone 6 PLUS, the bigger size of iPhone with 5.5'' screen. Made of premium genuine leather without any stitching, and you can see the natural variations in the hide, top notch quality. Dimension : 6.2 x 3.15 x 0.35 (L*W*H). Weight: 0.05 lb. Precise cut-out offer all ports, buttons, camera & microphone easy access. If you are also looking for the same leather case for Apple NEW iPhone X, please search B0772G4WQG on Amazon. Genuine Leather Craftsmanship Design  iPhone xs case leather crafted from premium handmade top cow leather and soft lining without stitching. And the premium leather will develop a natural patina over time. 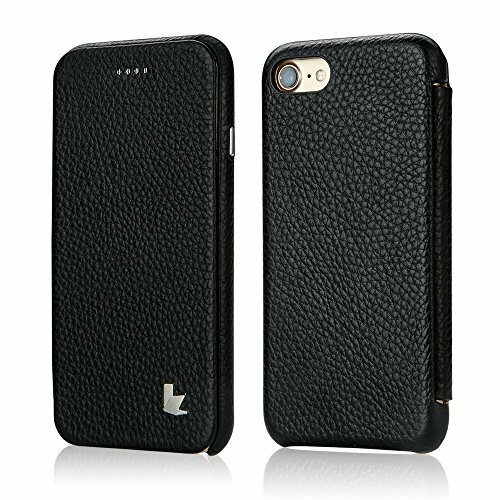 Unique luxury leather design of the iPhone x case offers a great grip and comfortable hand feeling. Anti-Slip & Anti Scratch & Anti-Swear Jisoncase iPhone xs case leather has wear-resistant, scratch-resistant, and anti-swear, because of the special multiple delicate polish processing. Which make the back of iPhone x leather case a little bit hard than the other iPhone xs leather case protect the phone better. Ultra Thin & Slim Fit iPhone xs case leather is slim fit without bulky feel in the palm of your hand. And The iPhone x leather case fits your phone perfectly of its precise cutout access all ports on the phone. Thus make the phone with jisoncase leather xs case easily slides in and out your pockets. Edge to Edge Protection The iPhone xs case leather has definitive edges around the top and sides offers great shock protection. And the iPhone x leather case has an open bottom design is a nice aesthetic and the corners would absorb the impact in a normal drop to against damage. Satisfaction Guarantee Your satisfaction matters! Apart from make sure the quality of every iPhone x/xs leather case, we also value every customer satisfaction. Please feel free to contact us via Amazon messaging center if you have any problem with the Jisoncase iPhone X/Xs Case Leather, we will fix your issue sooner. 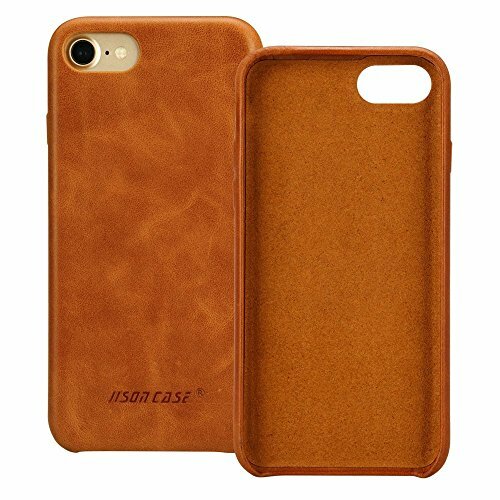 Jisoncase New Released Genuine Natural Leather Flip Stand Phone Case Cover for Apple iPhone 7 4.7 inches (2016 Released) and iphone 8 4.7 inches (2017 Released). 1. Easy to take out or put in. Ultra slim fit book design makes you have a great grip. 2. 100% genuine leather with natural clear texure, interior lining, soft comfortable touching without stitching. 3. Covered power and volume buttons and curved fit on all edges offer full protection. Wonderful partner for your iPhone 7. 1. 180 days warranty by Labato Direct Store. Free return of or repalce all items within warranty if defective or has any quality problem. 2. "Your satisfaction is our highest priority." If you have any problems about this products or your order, please feel free to contact us. We will reply your email within 24 hours. Please Note: Color shown in the pictures may slightly differ from actual product due to camera lighting and setting, photo editing. And each piece is individually crafted, the color may vary slightly. Premium flip leather case is designed for Apple iPhone 7 & iPhone 8 (NOT compatible with any other devices). Combining exquisite handcrafts and technology crafts with premium lychee leather offers soft nuture feeling. 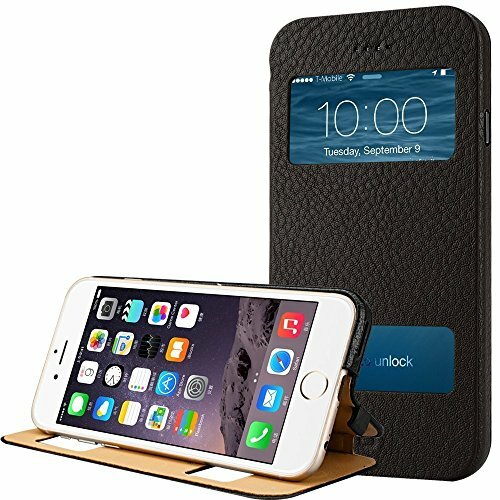 Unique folio cover design provides a good protection for screen against scratches ,and magntic lock closure secure your iPhone safety in some unexpected conditions. Precise cutouts make it possible for full access to all buttons and ports(camera lens,microphone.stereo speaker,wake/sleep button,volume up/down buttons) without remove the iPhone. Tested and checked hundreds cases ,voices sounds quite clear when talk with anyone on the other end of the phone .
. Refund or resend unconditionally if any quality problems. Lifetime-friendly Customer Service. .Please contact us via Amazon messaging center with your order ID if you have any problem, our customer team and product specialist will be always there for you. Watch Bands Only. Jisoncase Replacement Bands Compatible 42mm and 44mm Apple Watch Series 4, Series 3, Series 2 and Series 1. DO NOT FIT 38mm or 40mm Apple Watch. 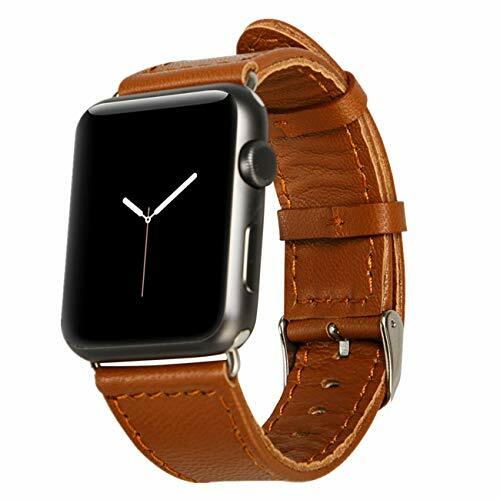 Made of Lamb Skin Leather, this band does not contain any synthetic leather. It is the ONLY lamb skin watch bands available in market. In addition, we also use 2 pieces of leather to ensure a durable fit as the photos displayed. Premium quality & Luxury leather provide the most graceful bearing on the wrist. Fit for 6.56-8.64 inch wrist circumference, 12 closely strap holes for length adjustment. Easy to slide into the apple watch slots. Personalize your Apple Watch with this refined strap compared to Apple ones, but at much less price. 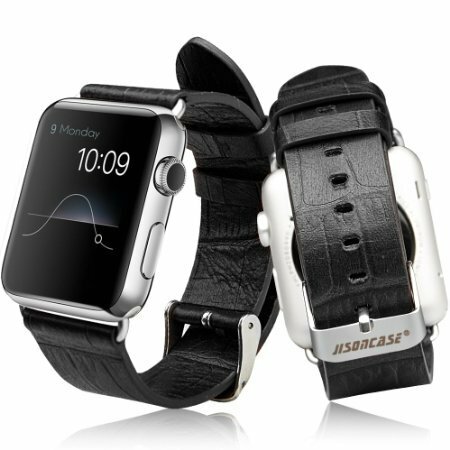 Jisoncase Apple watch band. We provide free replacement/ refund for all of our defective products, so please feel free to let us know by sending us message if there is any issue, and we will be gladly assist you. This case do not include wrist band. Fit iPhone X and the new iPhone XS. DO NOT FIT IPHONE XS MAX, iPHONE XR or ANY OTHER PHONE, please kindly check your phone model before ordering. Detachable design. Buy this iphone xs protective case you will get a leather lid and a snap case. The snap case can be removed from the leather lid, whenever you want to take only cellphone with you, take it off the lid. This case well-meet your needs of having some cash/several credit cards and your phone in one wallet, very convenient for the on-the-go people. Built-in SEVEN PIECES of Strong Magnet keep the interior iPhone x snap case safe and steady in the lid, no risk of falling-down. Support Wireless Charging. Kickstand function for viewing and typing in different angles, hands-free convenience for Facetime chatting. New and released by Jisoncase. We provide free replacement / full refund for any defective orders whenever it was placed. So please feel free to contact us via amazon messaging center if you have any issue with your order. our customer team and product specialist will be always there for you. Watch is NOT included. 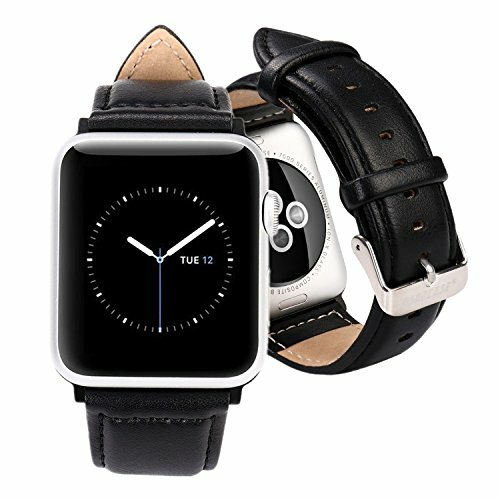 Compatible with 42 MM Apple Watch Series 3 Series 2 Series 1 2015 2016 2017 all versions. Note: DO NOT FIT any 38mm Apple Watch. Crafted from Full-Grain Leather, not the split cowhide leather at a lower cost. Full- grain leather is the best quality of leather with natural texture and smell. Fits 167-214 mm wrists (6 3/4 to 8 1/3 inches), fit well for most wrists. Comes with metal clasp & connectors, easy to install / remove. Finished by manual exquisite stitching, 12 precise cut holes on the Apple leather band for better adjusting. 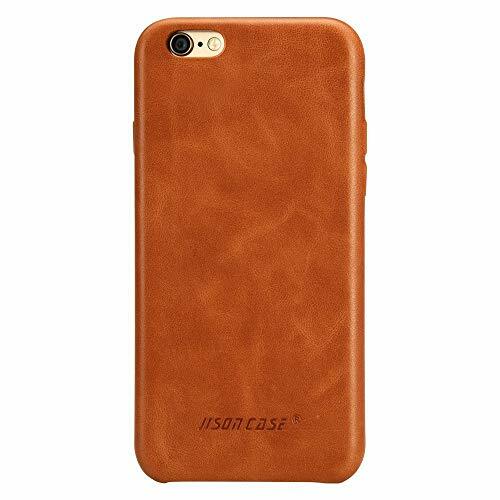 Jisoncase New-Arrival iPhone XR Leather Wallet Case. Date First Available: April 12, 2019. We provide full refund for all defective orders, so please feel free to contact us if you have any issue with our products. Thanks for your stopping-by. iPhone XR Leather Case: Fits only 6.1 inch Apple iPhone XR with single camera, Not compatible with any other phones. iPhone XR Cover with Protective Coating: The exterior smooth layer protect against drops, scratches and any other damages to the leather, making the case durable and last long. 2 in 1 Multi Functional Case: With three exquisitely-stitched card slots and one side pocket, this iphone xr case is perfect for a more active and convenient life. You can put your debit card, credit card, ID card and some cash in the case, just leave your bulky wallet home. And the magnetic closure secures your money and cards. Speak When Cover Close: The specially-made cutout on top allows for unblocked signal, so you can just talk on the phone with the case closed. Besides, this case also support wireless charging. 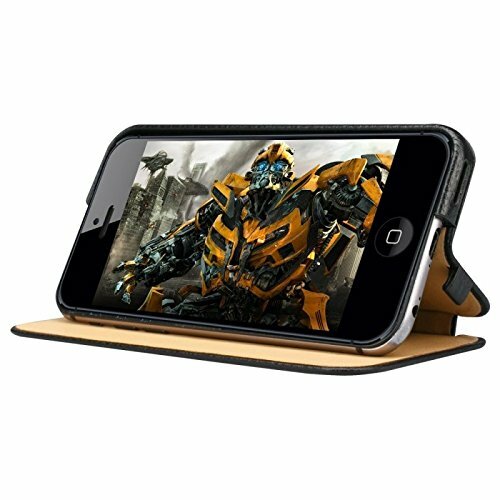 iPhone XR Flip Case Kickstand: The case can be switched to a horizontal position for movie-watching or video-chatting. Precise cutouts for all speakers, headphone jack and charging ports. Premium Leather with All-around Protection iPhone xs max wallet case crafted from premium handmade top layer cow leather. And the premium leather will develop a natural patina over time. 2 IN 1 Detachable Design  Achieve a flexible switch between the iPhone xs max wallet cover and the ultra-thin iPhone xs max case. And the slim case supports wire & wireless charging. Card Holder can RFID Blocking  Contains crafted from RFID blocking material card slots and side cash pocket can effectively shield the signals and keeps your personal information safe. Excellent solve your daily need without taking your wallet outside. 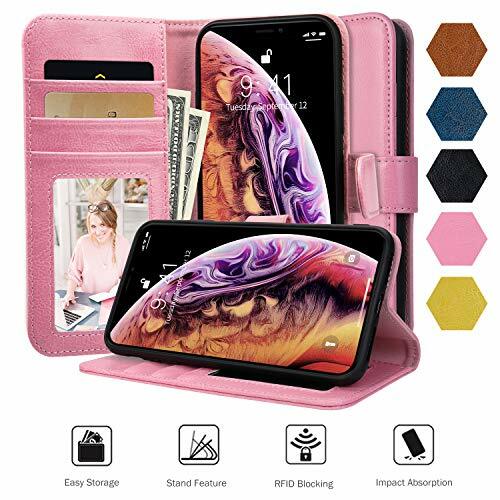 Multi-angle Hand Free Viewing iPhone xs max leather wallet case flap on the back of the case is foldable as a kickstand, which is convenient to adjust a comfortable angle for you movie-watching, hanging out with friends on Face Time. Satisfaction Guarantee Your satisfaction matters! Apart from make sure the quality of every leather case, we also value every customer satisfaction. Please feel free to contact us via Amazon messaging center if you have any problem with the Jisoncase iPhone Xs Max Wallet Case Leather, we will fix your issue sooner. [Apple Watch Band]: Compatible with Apple Watch Series 3/2/1 (42MM) and the Series 4 (44MM) . DO NOT Fit the smaller one, 38MM or 40MM Apple Watch. 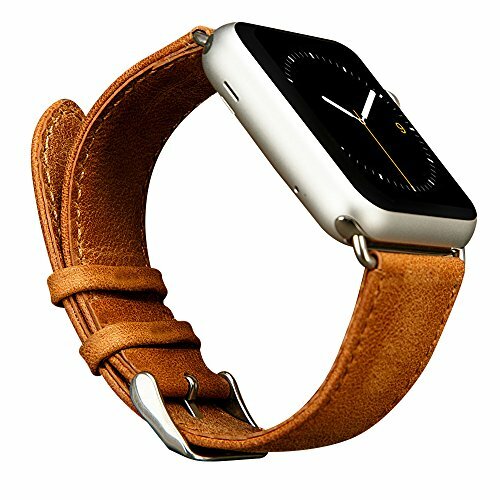 [Apple Watch Leather Bands]: Crafted from first-class calfskin, more vintage with time, look fantastic on your wrist. [iWatch Sport Band]: A great accessory for sport, and the decent look also fits well with both business and casual occasions. [Lifetime Customer Service]: Free replacement / return for any defective orders. Please feel free to contact us if you have any question. Universal: For 38MM Apple watch Series 3/Series 2/Series 1 and 2018 new-released 40MM Apple Watch Series 4. DO NOT FIT any 42mm or 44mm Apple watch. Feature: Made from soft and durable PU leather, and the thickening shape layer brings a comfortable experience when you exercise sweat, sleep and beyond. Fits great. Wrist Size: 5.3-7.5 inch (134- 190 mm) wrist. Dimension: 8.8 x 1 inches(L*W, two straps). Easy Installation: Press the button on the back of the watch and then slide the bands into the watch slots. Package: Comes in a sturdy long packing box, a great choices of gifts for Family or Friends. to against drops, bumps, scratches, and dirt. Peter Cheung, an experienced bags craftsmen. He sticks originality, pursues lasting quality, and persevere innovating. Thus, he founds a brand Jisoncase in 2001. Until now, Jisoncase sill stubbornly these timeless values. Every detail of each product full of sincerity. 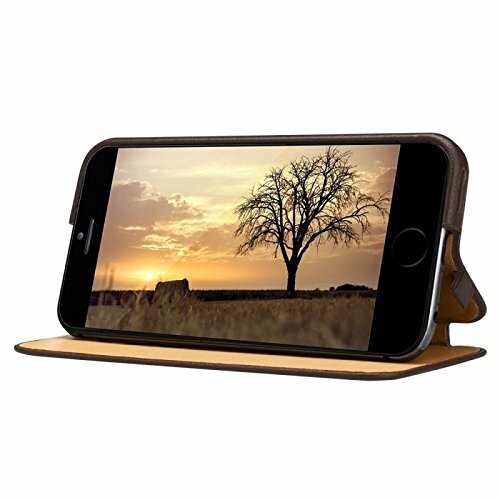 Stand feature comfortable to reading, movie-waching, face time, etc. we will fix your issue sooner. If use with screen protector will more perfect. PREMIUM LEATHER & SILICONE Jisoncase iPhone Xs Max Wallet Case Leather is made of second layer genuine cowhide leather with a unique grain. Premium material make the iPhone xs max leather wallet case feels natural and soft. Excellent crafts make all ports, cameras, and holes on the iPhone xs max is easily accessible. STAND WALLET CASE BRING MORE CONVENIENCE iPhone xs max wallet case with stand feature will bring you more convenience for reading, movie-watching with comfortable & multi-viewing angles, hanging out with friends on Face Time. Besides, iPhone xs max wallet case leather supports wired & wireless charging. MULTI-FUNCTIONAL FULL FRAME PROTECTION The inner shockproof cushions of the leather wallet case hugs every corner to ensure the iPhone xs max against the drops and bumps. And the iPhone xs max leather wallet case includes raised edges to prevent screen and camera scratches. Exact cutouts of iPhone xs max case wallet keep features fully accessible. 100% SATISFACTION GUARANTEE Your satisfaction matters! Apart from make sure the quality of every iPhone xs max leather case wallet, Jisoncase Customer Team would value every customer satisfaction. Please contact us if you have any problem with the Jisoncase Iphone Xs Max Wallet Case Leather, we will fix your issue sooner. 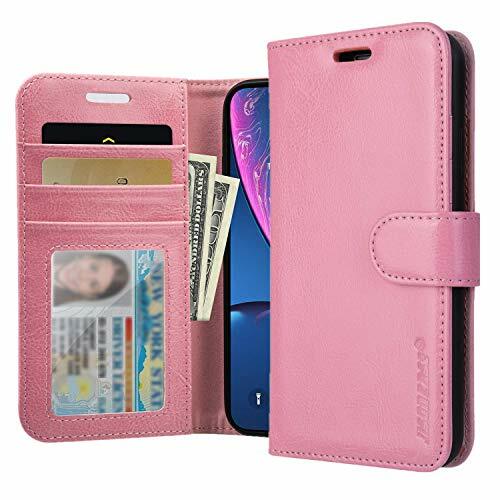 WALLET CASE WITH KICKSTAND CARD SLOT & CASH HOLDER iPhone Xs Max Wallet Case with strong versatile magnetism closure keep your belongings secure. 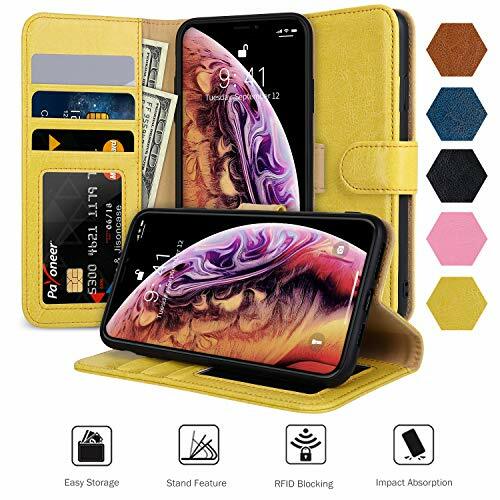 Ultra slim and thin iPhone xs max leather cases wallet with 3 card slots and a side pocket for money or additional cards meet your daily need. Wallet cases for iPhone xs max with RFID signal blocking materials protect your smart cards' safety. This classic folio case is specially designed for iPhone 6 (4.7") and will fit your beloved mobile phone like a glove. While it's handmade from premium leatherette, it offers no less protection to your device from dust or accidental bumps. You can also enjoy hands-free watching with the designed self stand function. The case comes in a variety of bright colors to suit your taste. High quality premium leatherette with fine texture and comfortable tactile impression, handcrafted with no stitching. Magnetic front cover ensures a firm closure to achieve maximum protection. Sit back and relax to enjoy great videos with the integrated fold stand, which can be adjusted to different viewing angles to suite your need. Precise cut outs for all functional areas. High-grade anti-dust soft internal lining to keep the screen clean and away from scratches. Made by high-quality genuine leather. Standing style and Folio open, especially standing function meet many buyers' favor. Slim design, light weight. Perfectly fit for your iPhone 6. All the starting points for case design are your using habits. High quality Genuine Cow Leather. Vintage style. Color: Red. Handcrafted with no stitching. For iPhone 5 with iOS 6 only. Not compatible with iOS 7. Front cover with finger access, no need to flip over to answer incoming calls. Small suction cup in front cover. Covered volume buttons for better protection, just press on them. Clear access to headphone jack, USB port, power button, camera lens and mute button. Slim design, light weight. Perfect fit. Easily assemble and disassemble. Compatibility: The case ONLY fit for Apple iPhone X, Supporting wireless charging. 1.There are Black, Light Pink, Midnight Blue, Mint Green, Orange Red, Pink. 6 colors for you choice. 2. The Material of the case is Silicone, Silicone is an insulator, the good insulation is safer for cell phone users. 3. The inner soft microfiber cloth cushion to protect your iPhone X from bumps and accidental falls. 4. Raised 0.3mm back cover at Camera cut-out area protects your iPhone X camera. 5. This case is comfortable to use, doesn't interfere with sound or call quality at all. Warranty: 180 days Warranty by TheCase Store. Free return of or replace ALL items within supported if defective. If you are also looking for iPhone X Wallet Leather Case, Please search B075YTNL8T. This Case is designed for Apple iPhone X /10 (the 2017 version ONLY), Support Wireless Charging. Matte Surface, Skin Feeling, Easy To Clean. Inner designed with soft microfiber cloth lining cushion, protect your iphone gently. 1mm lip outer design, raises above the screen slightly, protect your iphone screen or camera dropping or laying face down on any surface. Very sleek and thin so your phone barely feels different. It's the perfect size and make your phone attractive without adding the bulk. The charger port and speaker holes are all fully exposed with direct access due to the carved openings in the design of the case. With these on, no functions will be interfered. Jisoncase iPhone X silicone case with 180 days warranty. Any question, just contact us. We will provide a full refund or free replacement, thanks for your order! Fit 2015/2016/2017 38MM Apple watch Series 1/Series 2/Series 3 and 2018 new-released 40MM Apple Watch Series 4. DO NOT FIT any 42mm or 44mm Apple watch. Fits 162-203 mm wrists ( 6 1/2 to 8 inches ), fit well for most wrists. Comes with metal clasp & connectors, easy to install / remove. 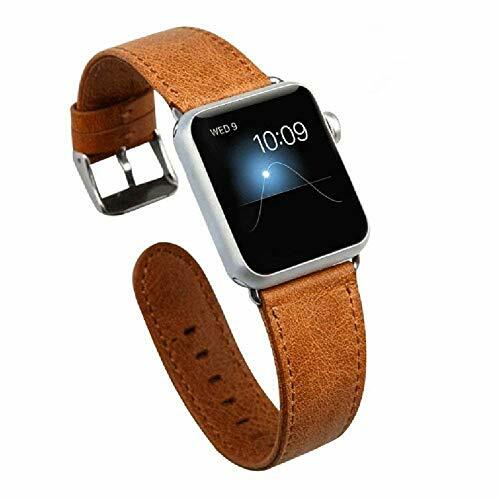 Premium leather iWatch band with metal clasp-compatible with Apple iWatch all verison. Each strap were strictly controlled with its size and surface,to guarantee a best and comfortable wearing. Please note: The apple watch in the photos is for reference only, this product does not come with the apple watch.